This week on EntreArchitect Podcast, The Entrepreneur Architect Series featuring Danei Cesario. Danei is the 333rd black female architect in history. Originally from Manchester, England, Danei was enamored with the architectural prestige of New York buildings from an early age. 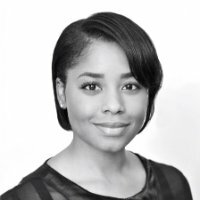 Her early career began with her scholarly pursuits at New York’s Bernard and Anne Spitzer School of Architecture served as treasurer for the City College chapter of the American Institute of Architecture Students (AIAS CCNY) and earned the J. Max Bond Jr. memorial scholarship while working on complex public sector projects. She’s currently the youngest architect at Francis Coffman architects, managing the execution of multifaceted healthcare projects. Danei moved to the US when she was about six, and spent most of her childhood moving back and forth between the US and England. She lived in various homes and cities over time, but the sense of home for her was wherever her family was. She saw the way a city was planned and observed her feelings moving through out it. The contrast of Manchester vs. New York City, post-industrial with deep history compared to newness and skyscrapers. She grew up sketching and drawing. Her dad was an engineer, and was well schooled in isometrics and technical drawing, so he and her mother fostered Danei’s eye for that. Danei always knew she wanted to be an architect. Danei has education from both sides of the pond, but she was always drawn to the energy in New York City. She wanted to stay close by for college, while her mother wanted her to return to England. She ended up at City College, where she found out the hard way all that architecture school entailed: long hours and hard work. She decided to move close by, and after the school built a closer building to where she lived, she was able to live and work there. That was a pivotal moment in her life and career, as it allowed her to establish what she wanted for herself as an architect and as a young woman. Danei always knew she wanted to be an architect. She continually strives to achieve that warm, fullness of heart that she herself felt when she sees something that is well-executed, well-thought out and enjoyable. Her road to becoming an architect was a 20 year journey. Some of the other things she didn’t know were goals just sort of happened along that journey. She met her husband in school, and they got engaged at the end of their fourth year. Danei moved through life following what made her feel fulfilled: as a wife, as a mom, as an architect. Her goals evolved as she evolved. It’s a bit of a struggle of the mind. Danei has experienced anxiety prior to sleep, worrying about home life, work, and whether or not she’s doing a good job. She’s worked to overcome her struggles and make opportunities out of them. As a black female architect in an industry that doesn’t have the best representation of people like her, some people might see her position as something that might limit her. Those responsibilities add a richness to the architecture that you provide; it’s another layer of sensitivity and empathy that she’s very passionate about. When Danei was 18, she fought for her independence and what she wanted. She wanted to prove that she could take an opportunity and make something of it. She lived in the city and worked three jobs to make it happen. She knew that if she fell on her face, her family would be there to support her, but she wanted to go out there and take what she wanted. What are you doing to share your story? Danei is active on Instagram, as she feels drawn to the visual aspect of connection. She’s also chair at the Center for Diversity and Inclusion where she’s working on sharing different stories and experiences to join them and give them a seat at the table. They’re currently working on a research project to determine what’s happened between architecture school and the profession. Perhaps people find out that they want to pursue something else or others want to pursue architecture but they don’t have the support to do so. Why are people leaving? Danei and her teammates are trying to figure out why people are moving on. What can we do to encourage people to stay? What’s one personal habit that contributes to your success? Danei carries a notebook and is always writing things down, which helps her visually organize things and be able to track progress. Connect with Danei in person at the Center for Architecture New York, Diversity & Inclusion Committee. You can also find her on LinkedIn and follow her on Instagram.